To foster a positive creative spirit through fellowship and support with respect and loyalty towards each other and the literary and/or artistic community at large. Our highest aim is to promote each other’s work and the creativity of those who love the road, the wind and the pen as much as we do. We will always have a special mission to promote Biker Poetry as the heart and soul of Road Scribes of America, but we will always be inclusive of any genre, style, or artistic medium by any Biker Scribe or Scribe of the Literary Community that is in keeping with our mission as a fellowship. Our code is self-evident in the kind of organization we are … a fellowship. While many are published and established poets, writers, and photographers, it is not a point of eligibility nor is it a requirement. As a fellowship we are open to like souls and kindred spirits and our mission is always to foster a positive spirit and to give any and all assistance that we might be able to provide to each other to see our work in print, although at no time is it promised or guaranteed that the Road Scribes of America will publish or bring to print or stage anyone. We shall simple do our best to help each other and to bring others to ride along with us on the literary highway. In our charter we will strongly maintain that plagiarism or copyright infringement is not tolerated and we do reserve the duty and obligation to remove any member that violates any such law whether in letter or spirit of such laws. We will not tolerate a lack of respect toward the writing community or towards each other in any way, as this is meant to be a collective spirit of one for all and all for one. We have no officers and no bylaws, just a simple charter, a code of mutual respect, and simple guidelines that foster unity and fellowship. 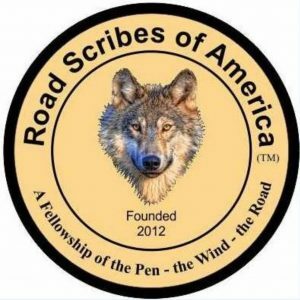 CHARTER GUARDIANS: Our most trusted advisors and spiritual guardians of the charter of the Road Scribes of America (TM) 2012, without whom, the Road Scribes of America would not have the foundation upon which we collectively create and enjoy the respect of our beloved fellowship. ACTIVE MEMBERS: please just indicate that you have read the new charter and are in agreement by adding your email address and date on return email. We will fill it in for you.